Our 2015 Movies page contains the most accurate 2015 movie release dates and information about all movies released in theaters in 2015. The list of 2015 Movies is even more accurate than the IMDB database of all 2015 movies. 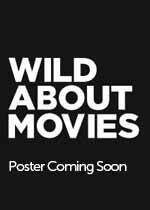 Click on any of the 2015 movie posters images for complete information about each movie in theaters in 2015. Trailers for each movie release of 2015 are featured on each page below. Below is a list of the most popular movies at the 2015 Movie Office – all movies that were released in theaters in the United States in 2015 that earned over $100 million. More interestingly, as each year goes by, more and more of each film’s box office gross comes from overseas. It used to be that the foreign gross of any movie blockbuster accounted to about 1/3 to 1/2 of its gross. However, in 2015, that amount is over 60% in many cases. Jurassic World earned $640 million in the United States but, in total, worldwide, the film took in an astounding $1.6 billion, including the $640 million it earned in the United States. Which means, yes, now, a tentpole release such as Jurassic World, or the upcoming seventh installment of the Star Wars franchise, can earn more than 60% overseas. The release dates listed above are reflective of their NYC and/or Los Angeles release dates, which are the official release dates. Many films are released via the platform method – limited release, followed by expansion. They are always first released in NYC.